LB750-VIP Pre-printed V.I.P. Lanyard. Each lanyard features a breakaway joint and adjustable slider for maximum comfort. 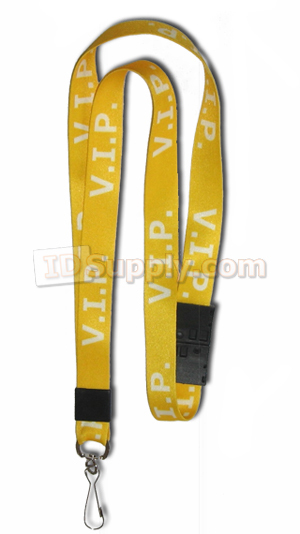 The lanyard is made of a 3/4" wide soft fabric.